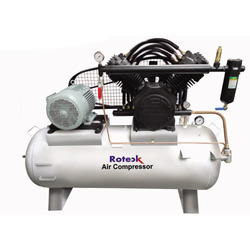 We are a leading Manufacturer of oil free belt drive air compressor rof-10, oil free belt drive air compressor rof-12.5, oil free belt drive air compressor rof-15, oil free belt drive air compressor rof-20, oil free belt drive air compressor rof-5 and screw compressor from Ghaziabad, India. 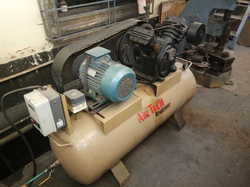 We are offering Oil Free Belt Drive Air Compressor to our clients. 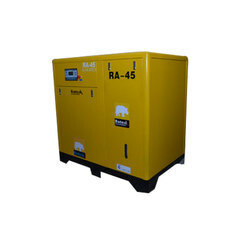 We are offering Screw Air Compressor to our clients. The high-pressure heavy duty range of compressors is suitable for usage in the range of 30-40 bar for applications like Bottling plants and Cylinder manufacturing industry for cylinder testing applications. 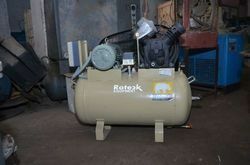 The “ROTECK” Industrial two stage heavy duty air compressors are known for their reliability and performance, making them the preferred choice for industrial applications. Select models are available in tank mounted versions. Zero leaks ensured by the use of leak proof fittings. Designed for industrial duty cycles. Slow running speed for lesser wear and tear. Belt guards for safety and meeting every standards. Products available in single and two stages. Ever since establishment, we have been manufacturing, supplying and exporting premium grade Two Stage Heavy Duty Air Compressor. 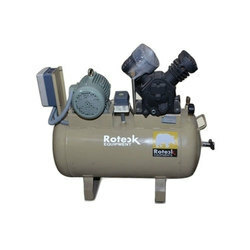 This air compressor is specifically designed using high quality components that are sourced from reliable vendors of market. Further, clients can avail this product as per their requirements and that too at industry leading prices. 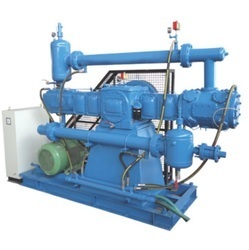 Innovation is our forte and in order to facilitate clients with best in class products, we come up with high performing Single Stage Heavy Duty Industrial Compressor. These products are made with precision under the guidance of sedulous professionals and advanced techniques. Furthermore, our professionals test each cabinet on strict guidelines so as to be sure of its perfect design and flawlessness. 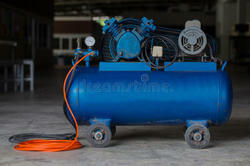 We are offering Belt Driven Air Compressor to our clients. High technology industries demand higher quality air.To meet the exacting standards of industry,Roteck company has developed an outstanding range of DWT series oil free screw air compressor.The oil free screw air compressors are not only oil-free,but also oil=less as they contain no oil at all.Built with the care and attention to detail that sets all Dwt series oil free screw air compressors apart from the competition,all models are factory tested before shipment. 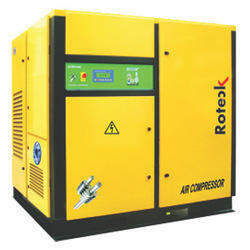 We Offer Wide range of Water Cooled Compressor. The PET Air Compressor is suitable for usage in the range of 30-40 bar for applications like Bottling plants and Cylinder manufacturing industry for cylinder testing applications. 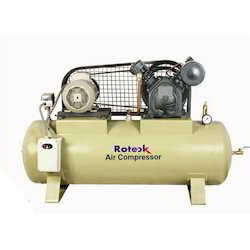 Roteck screw air compressor provides high-quality air you can rely on to avoid costly downtime and production delays. The robust design ensures your processes will function continuously even in the harshest conditions such as temperature up to 55¿¿¿. 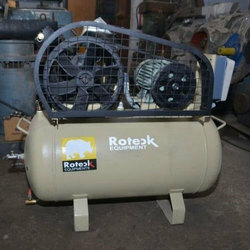 Furthermore,Roteck air compressors are easy to install and use, they require minimal on-site installation work and simple to operate and maintain. Roteck Screw Compressors are designed to encapsulate all functional components of the compressor within a common housing. With a small footprint, high reliability and low maintenance requirements, these compressors are ideal for industrial applications where size, efficiency and cost matter. Energy efficient air end imported from Germany. 7.5kW to 180kW are available with gearless drive in star coupling. 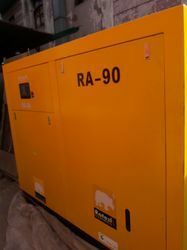 The Piston Air Compressor is suitable for usage in the range of 30-40 bar for applications like Bottling plants and Cylinder manufacturing industry for cylinder testing applications. Roteck is so confident in the performance of these compressors, that we offer a choice of extended warranty packages designed to provide you with maximum operating security. Smart integration eliminates leaks and pressure drops, ensuring maximum reliability. Direct Drive Air Compressor are designed to encapsulate all functional components of the compressor within a common housing. With a small footprint, high reliability and low maintenance requirements, these compressors are ideal for industrial applications where size, efficiency and cost matter. We offered wide range of Car Washer Air Compressor.